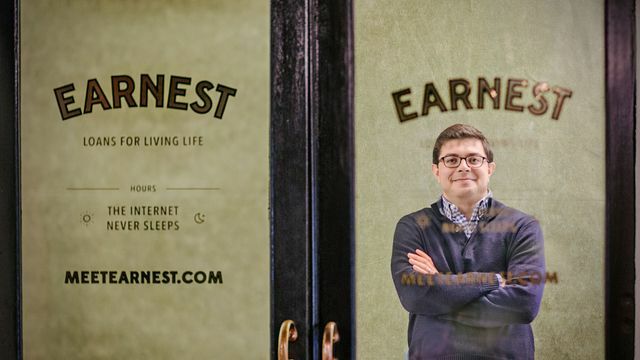 Earnest is aimed at providing loans to millenials. The company, similar to other online lenders, uses alternative data sets to derive "more accurate" credit scores. Earnest offers borrowers with short credit histories unsecured loans from $2,000 to $30,000 at rates of 4.25% to 9.25%, for one to three years and with no origination fees. Earnest goes beyond the conventional credit reports banks get from Equifax, Experian and TransUnion to crunch big data–80,000 to 100,000 data points per applicant, collected in large part by linking directly to an applicant’s bank and credit card accounts and downloading a full history, including deposits, withdrawals, balances and payments. That compares with the 500 to 1,000 data points that Credit Karma estimates are in a typical 25-year-old’s credit file, which forms the basis for the FICO score from Fair Isaac used by most banks. A traditional credit score considers whether an applicant paid his credit card bills, mortgage and other bank loans on time, but it doesn’t always capture prompt payment of rent and doesn’t consider earnings or education.